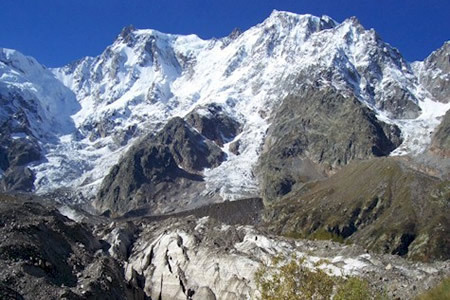 The Monte Rosa mountain comes into its own in summer, as well as having some of the most beautiful scenery in all the Alps, it has a glacier which is a big attraction for walkers in the summer months. The trekking is varied and you can choose walks to suit your level of experience and to suit your comfort level with lots of mapped routes (we will provide the maps) so that you will never need to take the same route twice. It is also a perfect base from which to visit Lake Maggiore and Switzerland or to explore the local villages and points of interest. Of course if you just want to relax and take it easy while you are with us that’s fine. Our Mountains Package offers you the freedom to enjoy the holiday at your own pace and choose your own activities (look on the Summer Holiday Packages link for more details). Our summer temperatures can reach 35 degrees during the day especially in August and there are plenty of opportunities to sit and eat, read, sleep and sunbath here surrounded by lakes, mountains and nature. Of course when the sun goes down you may need a jumper for the cooler evenings, but there is no need for air conditioning in the rooms and it is never too hot to sleep! Guided trekking or solo trekking. for the ultimate adrenalin rush, paraglide with a qualified instructor at up to 5000 metres, remaining in the air for over an hour if the air currents are right and really getting a birds eye view of the Alps. Why not visit our goldmine, the last working goldmine in Europe while you are here. You can follow the old mine passages up to a mile underground, in the safe hands of a guide of course. Fancy a little culture and the opportunity to take some memorable photographs? Visit the Walser Village, which is the site of the original Walser settlers in Macugnaga, and our two beautiful Churches both dating back hundreds of years. 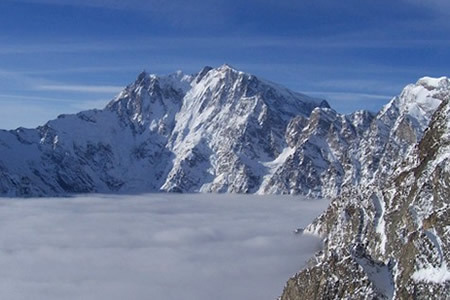 We have included this in our Mountains and Trekking Package (look on the Summer Holiday Packages link for more details) as we think it is such a fantastic experience. 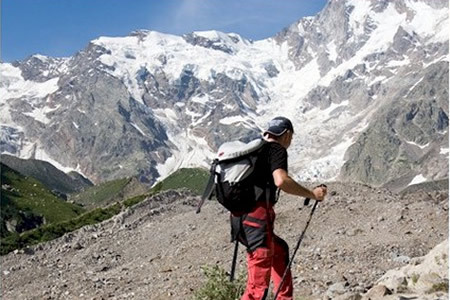 Enjoy 2 days of guided trekking at up to 3,500 metres taking in some of the mountain peaks and crossing the Monte Rosa Glacier to reach a Mountain Refuge where you will stay overnight and enjoy a 3 course traditional meal with wine while watching the sun setting over the mountains. Following breakfast the next morning you will set off for another day’s trekking with a packed lunch provided arriving back in Macugnaga at around 5.30pm. Just in time for a hot shower and a drink before dinner! !